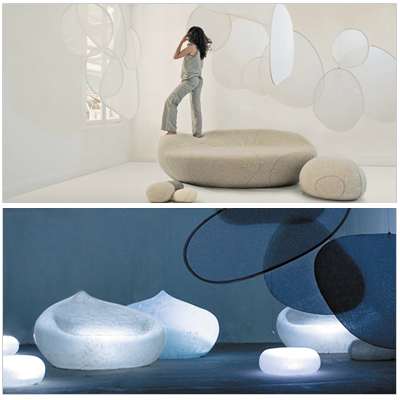 I have never coveted pillows to the degree that I covet these amazing creations by Smarin. They're aptly named "living stones" because they simply invite interaction. I was also smitten with their raindrop garden furniture that looks like it lights up at night. Check on their website for U.S. retailers. So many fantastic and creative designs. I'm floored.